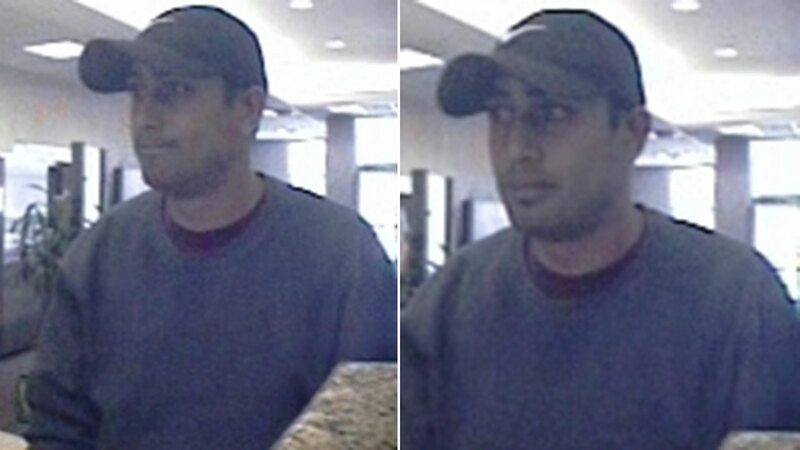 HOUSTON (KTRK) -- FBI detectives need your help identifying the suspect who robbed a west Houston bank Tuesday afternoon. The suspect around 2pm walked into a bank in the 14500 block of Memorial Drive and handed a teller a note demanding cash, threatening he had a weapon. The employee handed the suspect an undisclosed amount of cash and he fled the scene. No one was injured in the robbery, and no weapon was seen. The robber is described as a Middle Eastern male in his late 20s. He is about 6'4", 170 pounds, has dark hair and unshaven. He was wearing a dark Nike baseball cap, a purple shirt underneath a dark long sleeve shirt and dark pants. Crime Stoppers is offering up to $5,000.00 for information leading to the charging and arrest of this robber, or any felony suspect. If you have information about this crime, please call the Crime Stoppers tip line at 713-222-TIPS (8477) or the Houston FBI office at 713-693-5000.